KIEV, Ukraine -- Standard & Poor’s credit rating agency on Thursday lowered its outlook for Ukraine from stable to negative after the government said it was seeking to restructure a $3 billion loan from the International Monetary Fund. S&P said the new outlook reflects the country’s reluctance to make tough political decisions on austerity measures and the risk that talks with gas supplier Gazprom might not result in lower energy prices, as the government hopes. “Ukraine faces significant external and fiscal funding challenges,” the agency said in a statement. Hours earlier, First Deputy Economy Minister Vadim Kopylov told reporters that the government is asking to delay repayment of its IMF loan by 10 years. 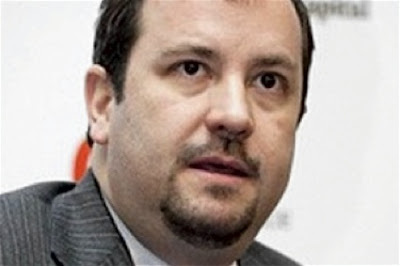 But IMF representative Max Alier said the organization has no mechanisms to restructure such repayments. He suggested instead that the government take steps to unblock a $15.6 billion loan that was frozen last spring due to the Ukrainian government’s refusal to implement unpopular austerity measures, such as raising residential gas and heating prices. President Viktor Yanukovych is meanwhile hoping to get a discount on supplies of Russian natural gas and avoid raising prices for millions of impoverished Ukrainians ahead of parliamentary elections this fall. But talks with Moscow also have stalled. Experts said that winning over the IMF will be a hard task. “Ukraine’s aggressive language with the IMF over pushing a restructuring and in the same breath talking of higher social spending in advance of parliamentary elections in October is hardly likely to win friends and influence people in Washington,” said Tim Ash, head of emerging-market research at Royal Bank of Scotland Group Plc in London. Key IMF shareholders are also upset by the apparent deterioration of democracy under Yanukovych, namely the imprisonment of former Prime Minister Yulia Tymoshenko and her top ally, former Interior Minister Yuri Lutsenko, on charges condemned as politically motivated by the West, Ash said. Failure to restructure the IMF loan and other debts that mature this year will put pressure on the national currency, as the central bank will be running out of its reserve to support the hryvna.